Ships today if you order in the next 12 hours 39 minutes. The pineapple plant is rich in vitamins and minerals - but it's an enzyme known as Bromelain that may be pineapple's most impressive component. Bromelain is found throughout the fruit of the pineapple - but its highest concentration is in the core. The enzyme's greatest asset is its ability to help your body break down proteins. 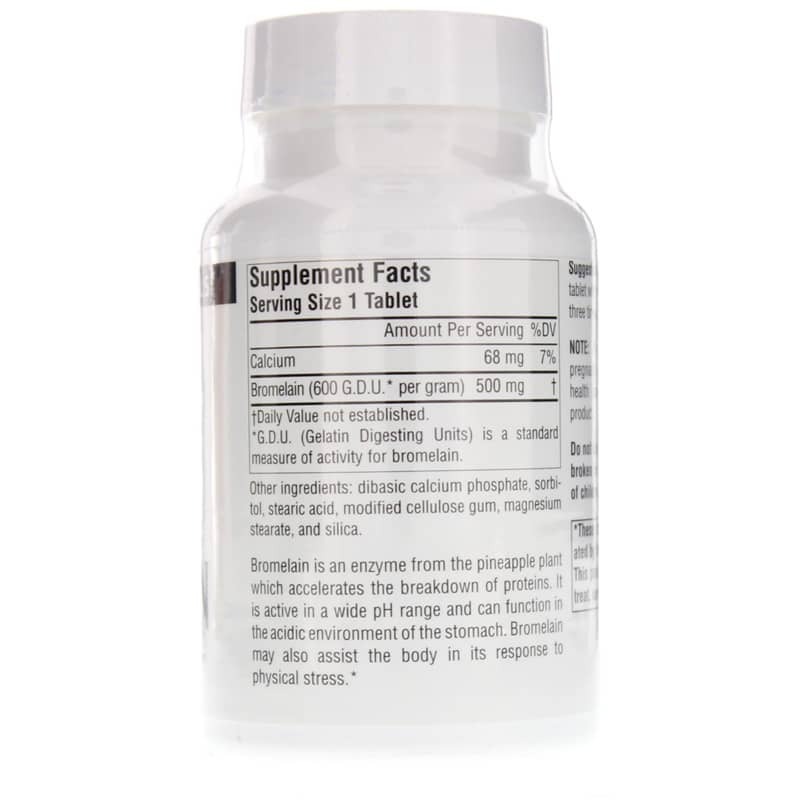 Bromelain can also can promote a healthy internal response to physical stress. 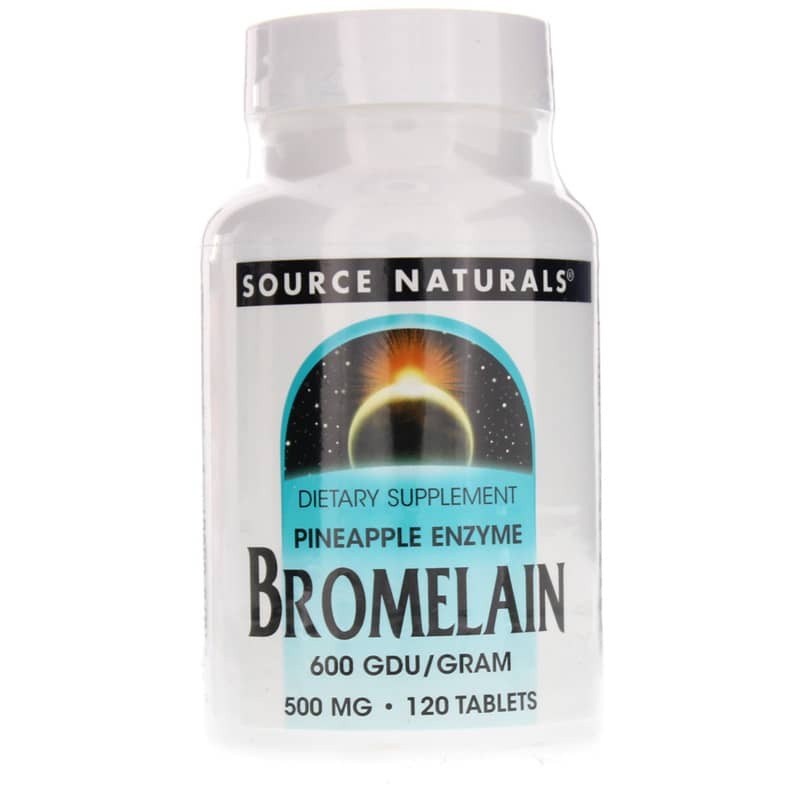 Source Naturals suggests using this Bromelain supplement for either digestive support or recovery from intense physical activity. Take this Bromelain supplement with a meal to help your digestive system handle protein. Or take it in between meals for support with the physical stress of muscle pain and swelling. Try Bromelain from Source Naturals today. Other Ingredients: dibasic calcium phosphate, sorbitol, stearic acid, modified cellulose gum, magnesium stearate, and silica. Adults: For breakdown of proteins - 1 tablet with a meal. For physical stress - 1 tablet three times daily between meals. 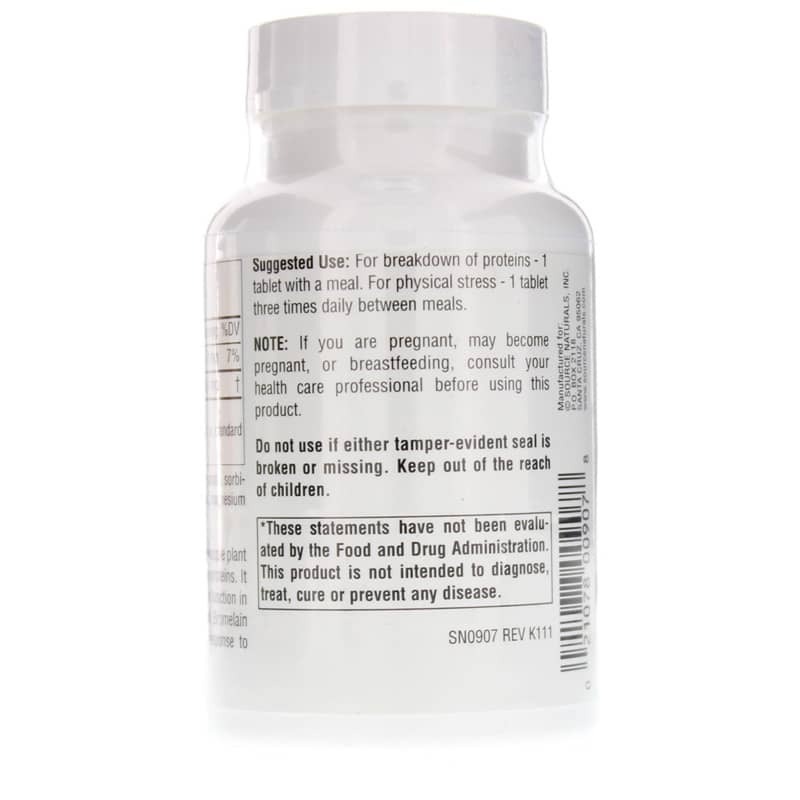 If you are pregnant, may become pregnant, or are breastfeeding, consult your healthcare professional before using this product. Do not use if either tamper-evident seal is broken or missing. Keep out of the reach of children. I take this twice a day and haven't had any problems with digestion since I began it a few years ago.